Anderson (2008) recently reviewed the controversial topic of extant amphibian origins, on which three (groups of) hypotheses exist at the moment. 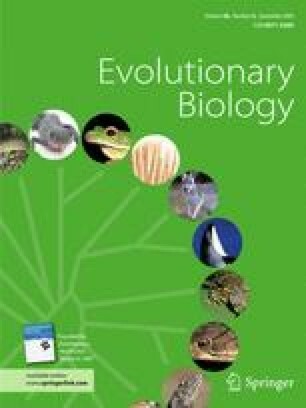 Anderson favors the “polyphyly hypothesis” (PH), which considers the extant amphibians to be polyphyletic with respect to many Paleozoic limbed vertebrates and was most recently supported by the analysis of Anderson et al. (2008). Another is the “temnospondyl hypothesis” (TH—lissamphibians nested within temnospondyls), most recently supported by Ruta and Coates (2007). We prefer the “lepospondyl hypothesis” (LH—lissamphibians nested within “lepospondyls”; most recently supported by Vallin and Laurin 2004 and Marjanović and Laurin 2008a). We would like to clarify important points that were not discussed in Anderson’s review, or for which crucial arguments were left out. The online version of this article (doi: 10.1007/s11692-009-9065-8) contains supplementary material, which is available to authorized users. J.-C. Rage, D. Wake, and two anonymous referees commented on previous drafts of this paper; we are especially grateful to D. Wake for several constructive suggestions. Pawley K. (2006). The postcranial skeleton of temnospondyls (Tetrapoda: Temnospondyli) (PhD thesis, La Trobe University, Melbourne), 442 pp. Retrieved from http://www.lib.latrobe.edu.au/thesis/public/adt-LTU20061124.124055/index.html.